Reid Humphrey played his first game with the Napanee Raiders, skating in Sunday's pre-season game. Photo by Adam Prudhomme. 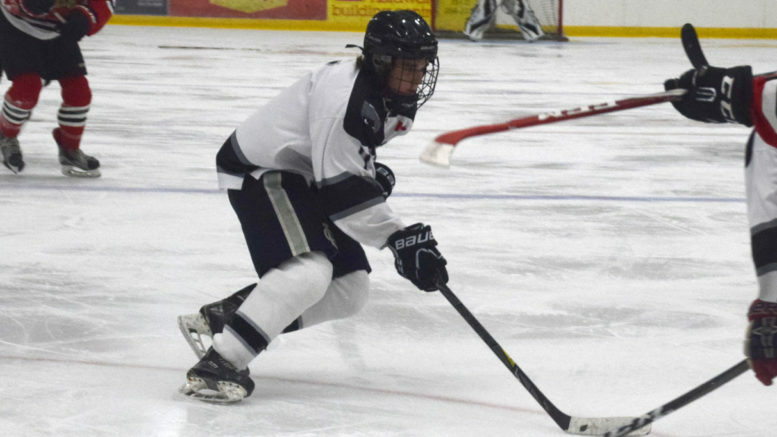 The Napanee Raiders continued to add to their roster ahead of Friday’s season opener, acquiring forward Reid Humphrey from the Ayr Centennials for cash. A native of Toronto, the 5’8”, 18-year-old forward suited up for the team’s final exhibition game on Sunday, wearing no. 7. He had 10 points (six goals, four assists) in seven regular season games with Ayr last year, adding another three goals and three assists in 12 playoff games. Prior to skating in the PJCHL, he played four seasons with Upper Canada College. Napanee opens the regular season on Friday at home against the Picton Pirates. Puck drop is 7:30 p.m.